I met Krista Baliko at a podcasters' meetup last year, (even though neither of us is a podcaster), so I like to watch her progress working at the CBC Mother Corp.
Good to see she's got a blog this week, as she posts about the goings-on in Saskatoon around the JUNO awards. The awards show time has been yo-yo-ing around, while organizers battled with CTV to avoid having the awards broadcast hours past prime time in Atlantic Canada. Sanity has been restored, and the show will start two hours early this Sunday. Check out Krista's Juno Blog, for some behind the scenes action. I haven't seen any shocking celebrity news there yet. No Nelly Furtado hissy fits about the temperature of her bath. No Jian Ghomeshi throwing a phone at a bellboy. C'mon, Krista, there's dirt out there to be found, you're just not looking hard enough! I used to work with Krista's mom. (Hi Joan!) Also, I'm finally able to provide a bit of link love to my spouse, who is coordinating a JUNO section of the Saskatchewan CBC website. Don't forget to pick up some milk on your way down from Saskatoon, honey. I was just on the site tonight being a one-person focus group, and thought the photo galleries are the best items so far. Go CBC. Inside the CBC suddenly became one of the only sources of information Monday about why the cbc.ca site was unavailable for many hours. The problem was caused by a server malfunction. It took several hours to get a back-up server online. So, for a few hours, the company's blog was there to inform people that the main site was offline due to technical problems. Get out your business continuity plans, everyone, and test them. In a post earlier this year, Tom Murphy wrote that a dark site is the best approach in the event of a crisis. The company website is one of the first places people go when a company is in trouble. He warned against rushing to include blogs in the crisis communications mix. Case in point - I'm sure the CBC PR folks would have preferred a bland statement on the blog that vaguely referred to technical difficulties on the cbc.ca server. Instead, the blog posting went into detail about the cause of the problem, which led some blog visitors to suggest there's not enough redundancy built into the news service's IT infrastructure. Well, the blog was created to talk openly about what goes on at CBC, without management oversight. It served the added purpose of alerting some people why they couldn't get their fix of online news that day. Job well done, I'd say, no matter what the PR folks might say. CBC's Venture is profiling Red Paperclip guy Kyle MacDonald and fiancee Dominique Dupuis Wednesday October 25 at 7:30 p.m.
MacDonald is pretty busy writing a book about his year-long publicity campaign, based on trading up from a red paper clip to a house. The Venture crew spent some time in Kipling, Sask., with the couple, and show MacDonald in action, schmoozing with the likes of Corbin Bernsen, who was part of the trade up to a house. I didn't even know there was an Ideas show before Lister Sinclair until the last few years. Whenever I tuned in, he was always the voice of the CBC Radio show that was willing to examine thinkers and their thoughts in detail. News this morning of his death brought to mind his gentle, whimsical voice. There's still a tribute to him on the Ideas website, put together when he retired in 1999. Ideas will play a tribute to him over the next three nights. 9 p.m. on CBC Radio One. I'll try to catch it. I want to hear if they play some tape from his earlier days as a playwright and actor. Spoiled Rotten (Apple) - Joseph Jaffe - The big question is, why do people let Apple get away with such consumer-unfriendly behaviour? Avoiding Tradmarkicide: Ziplock Bags and Apple’s iPod - Kami Huyse - The Apple trademark legal battle that's shaping up, and the challenge of protecting a trademark from becoming a generic term. PR Pro says NO to Skin Whitener Cosmetics - what is SK-II to do? - Pierce Mattie - Toxic products and promotion. Guess what? Press releases have never been exclusively for the press - David Meerman Scott - The argument against viewing a news release as something written just for journalists. Everybody Has the Right to Be Depressed - Scott Baradell - Depression can hit celebrities and the wealthy, the popular and the beautiful. Scott B. takes the media to task for attacking famous people who struggle with depression. The Social Bookmarking Faceoff - A good comparison of the various social bookmarking sites. Link via Brian Solis - The Social Bookmarking Faceoff and its Effects on PR. If you encrypt, are you guilty? U.S. Customs peaking into your digital life - Tris Hussey - A look at the issue of customs officers wanting to view sensitive, confidential info on your laptop or other device. 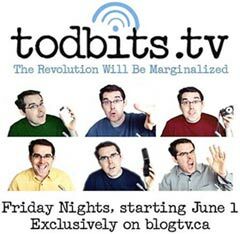 The Future of Television, Revision3 Launches - Thomas Hawk - Digg launches a video service. Sharing the PR Podcast Lurrrrve - Paull Young - A quick look at several PR podcasts. Where are the Public Relations Firms? - John Andrews - Johnon.com asks why the fresh goods companies aren't doing any proactive public relations in response to the spinach e-coli food scare. I'm back to celebrate OneWebDay - Dave Traynor - wonders if we're any further ahead in our workload and quality of life after all these advances in information. Social Media Communciations - A downloadable e-book. Ingenious Reporting Using del.icio.us - David Jones notes a Toronto journalist who encourages people to send her del.icio.us links of things she should check out. Why RSS is important to marketers - Paul Gillin posts results of a survey of bloggers. Heather Mallick Column at CBC.ca - After quitting her column at the Globe and Mail over editing choices, Heather Mallick lands at CBC.ca with a column. 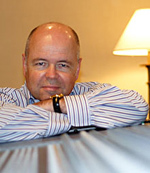 Terry O'Reilly is back on the air, exploring the advertising business. Last year's excellent O'Reilly on Advertising is being followed up by O'Reilly and the Age of Persuasion. According to O'Reilly's agency Pirate Radio and Television (Flash-only), O'Reilly and Mike Tennant produce a new show about "the ways Advertising and Marketing permeate every aspect of 21st Century life, from its effect on the way we act, dress and speak, to its influence on our children, to the unstoppable explosion of Ad Clutter." I've only caught part of one episode so far, but the quality sounds every bit as good as last year's show. CBC Radio One Saturday 4 p.m., or Thursday mornings at 11:30 (for live streaming, go to CBC.ca, and choose the time zone that will match up with the broadcast time). Sirius Satellite Radio Channel 137: Thursdays 10:30 a.m. ET/7:30 PT; Saturdays 2:05 p.m. ET/11:05 a.m. PT; Saturday night at midnight/9:05 PT. Background info about last year's show on Wikipedia. Photo via I Have an Idea ad creative archive. Sirius schedule online at DogStar Radio (link via Inside the CBC.com). Update II: The show has been extended into 2007, reports Inside the CBC. 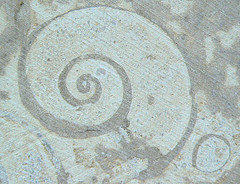 The CBC logo carved in the tindalstone of the CBC building bears a resemblance to the fossil embedded in the stone. The podcasts announced today by CBC Radio are a step in the right direction, but they don't approach the extensive podcasting already undertaken by the BBC in Britain and NPR in the U.S. Since getting an MP3 player for Christmas, my religious listening of CBC shows has fallen off significantly. I've forsaken my portable radio for the iPod, and because it doesn't have a built-in radio, my radio listening has plummeted. I've gone from 10-12 hours of listening to CBC Radio One to maybe catching two hours a week. The rest of the time, I'm choosing podcasts that cover topics I'm interested in. I'll certainly add some of these CBC podcasts to my regular listening, and I'd add more if there was an option. In the comments section of Tod Maffin's post about the new podcast service, several readers criticize the changes as too little and not timely enough. Instead of the compilations of programming being offered, they're looking for podcasts as an alternate delivery mode for the full radio shows broadcast and webcast by CBC. Maffin, while stressing he's not an official spokesperson, points out that there just isn't enough money to go whole hog on podcasting. He directs people to provide feedback directly to CBC with their ideas. Unlike BBC, which receives a hefty broadcasting fee from every U.K. resident, and NPR, which supplements a small federal subsidy with paid sponsorships, CBC Radio gets a relatively small operating grant from the federal government, and is prohibited from running paid ads. 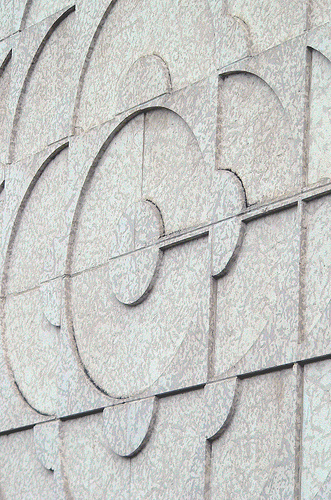 How CBC could offset the cost of a more robust podcast service is a topic that's very much open to discussion. Maybe product placements, with a John Deere lawnmower roaring away in the background of a program, and a Husqvarna chain saw buzzing away, too? Update: I should mention that I think today's announcement is a huge improvement. Regardless of how much further room there is for additional podcasting, CBC has made a long overdue move toward making their content more portable and less tied to a given broadcast schedule. As someone who often can't listen to daytime programs while at work, I really appreciate the ability to "tune in" on my schedule, to the shows I'm interested in. Dave Traynor has it right. 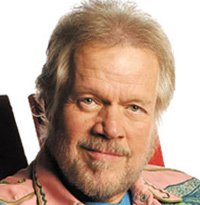 He points to Randy Bachman's Saturday night show on CBC Radio One as "arguably the best music show in the land." Bachman hosts Randy's Vinyl Tap, which uses his personal perspective as the lens through which he views a musical theme, event or time period. If you haven't tuned in, make a point of listening Saturday nights 7 to 9 p.m.
Of course, Bachman isn't best known as a professional radio host. 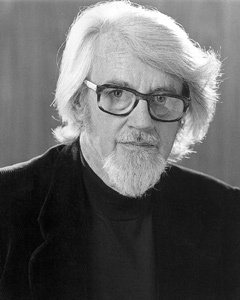 He was the creative driving force behind Bachman Turner Overdrive, and (with Burton Cummings) The Guess Who.